Elephants are not afraid of mice, it’s a myth, and there are quite a few. The one about the “elephants’ graveyard,” where all pachyderms go to die is also a myth. The myth about elephants never forgetting is also quite popular, despite their obvious intelligence. Still, Westerners aren’t the only ones who have given the elephant attributes that aren’t altogether based in reality. The people of India, who live with them and should know better, have come up with some amazing stories. 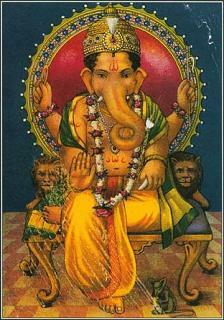 The elephant plays a leading role in the Indian creation story. The earth sits on an elephant’s head, and when the head moves, an earthquake occurs. Elephants were said to have appeared in the sky at the birth of Buddha, much like the angels’ presence at Jesus’ birth, the Chinese similarly have dragons flying when Confucius was born. According to the Indians, elephants used to have wings. They can even explain why they don’t fly today. One day an elephant was flying and grew tired. Spotting an old banyan tree below, he thought it looked like a good resting place. Although the elephant may have had the power of flight, he clearly lacked an understanding of gravity and physics. As he settled on a banyan branch, it snapped, and he fell below. Unfortunately for him, he fell onto a powerful meditating hermit named Dirghatapas, who was as grouchy as he was powerful. Dirghatapas cursed the oafish winged beast to walk on his legs from that day forward. The wings disappeared, and what was left was the elephant we know and love today. What Is the Difference Between Asian Elephants and African Elephants and Which Elephant Is Larger?